All-year round strawberry park! 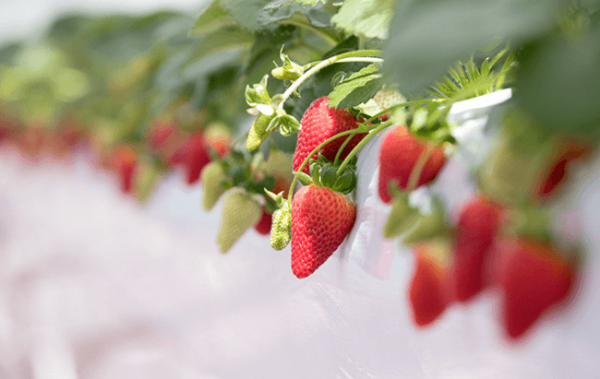 “Yokohama Strawberry Festival 2019” announced from February 1st through 11th ! 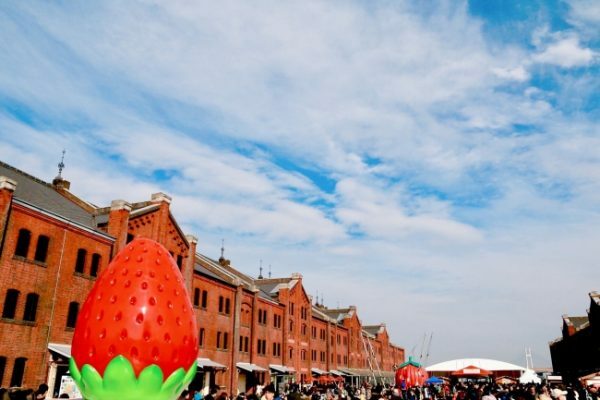 As part of the annual “Yokohama Strawberry Festival,” Tokyo Strawberry Park will open its fourth branch at the Yokohama Red Brick Warehouse. 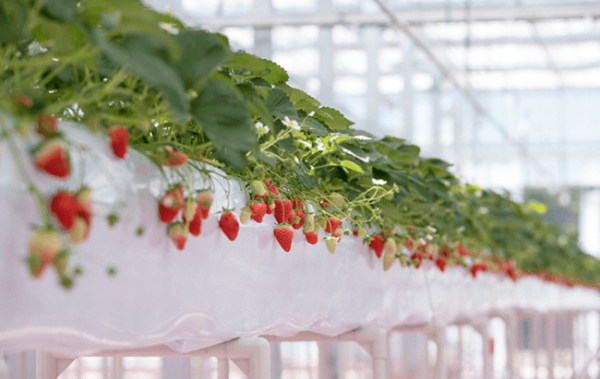 Having received highly favorable reviews since its first opening in Yokohama back in April 2018, starting from February 1st, visitors will now have one more location in Yokohama where they can enjoy strawberry-picking all-year-round! 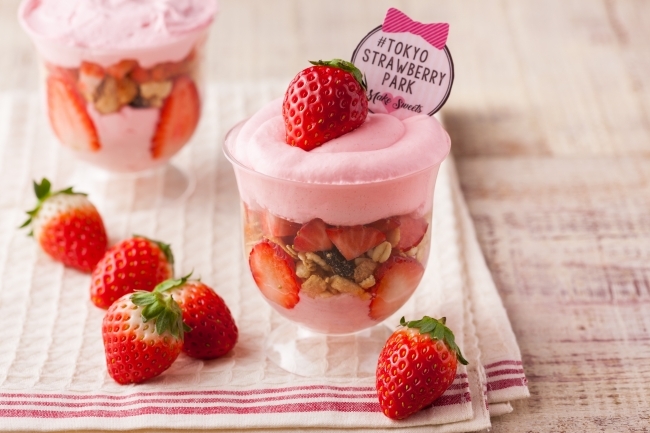 A “one-coin” (500 yen coin) strawberry parfait will also be available to visitors. Come out and join us in celebration of strawberry season! 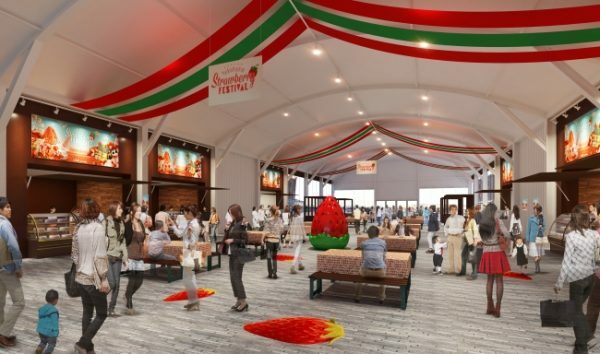 In addition to the grand-opening of the Tokyo Strawberry Park, visitors will also have the option to enjoy a strawberry-chocolate dessert made with cocoa beans from Vietnam. 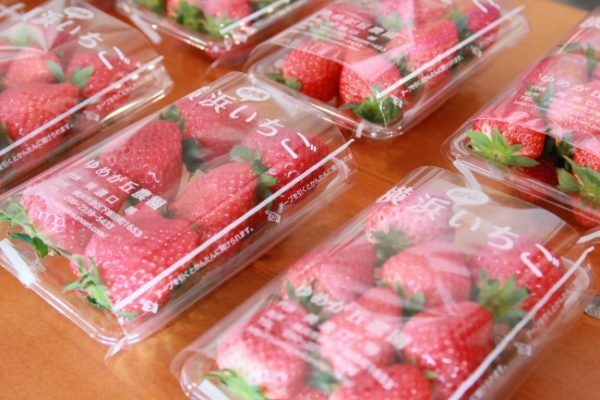 Adorning the festival are also various shops within the Tokyo Strawberry Park selling original goods and more. Look out for this cute parfait at the festival! With just one coin (500 yen), you can get yourself this hefty parfait! Containing around 5 strawberries, strawberry yogurt, strawberry cream, this parfait is only available, for a limited time at the Yokohama Strawberry Festival 2019, so be on the lookout! 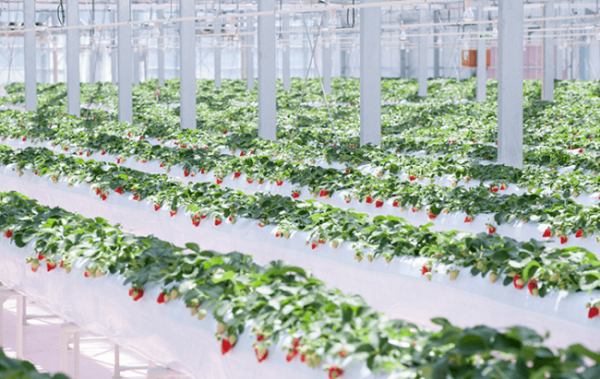 In addition to Tokyo Strawberry Park’s 4th store opening, 23 different stores will also be gathering at the strawberry market. 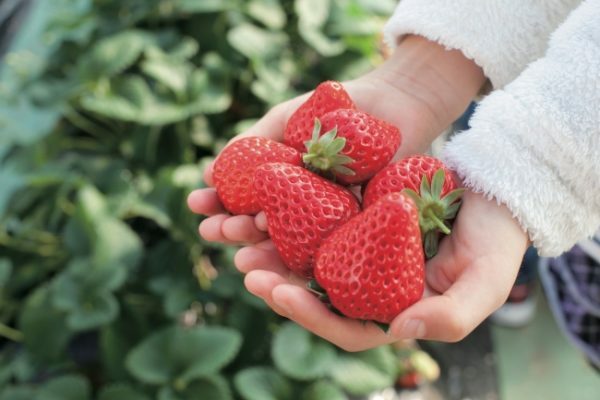 Visitors will also be able to enjoy samples of 8 different brands of strawberries from famous brands like Saga prefecture’s “Ichigo-san” and much more. 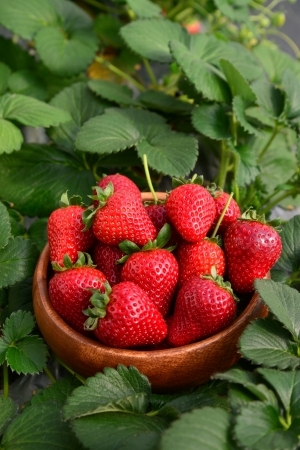 Visitors will also be able to purchase strawberries from farmers within Yokohama city. 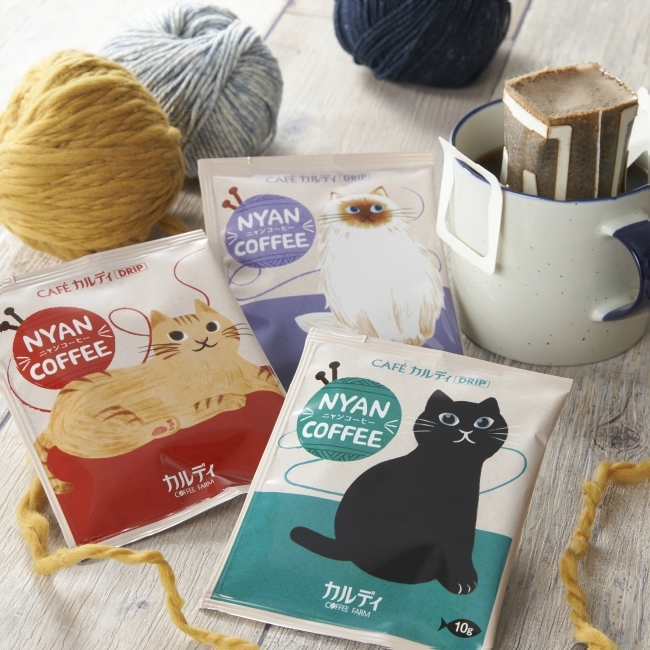 ※Please be aware of the conditions outlined in 1,2, and 3 when purchasing. 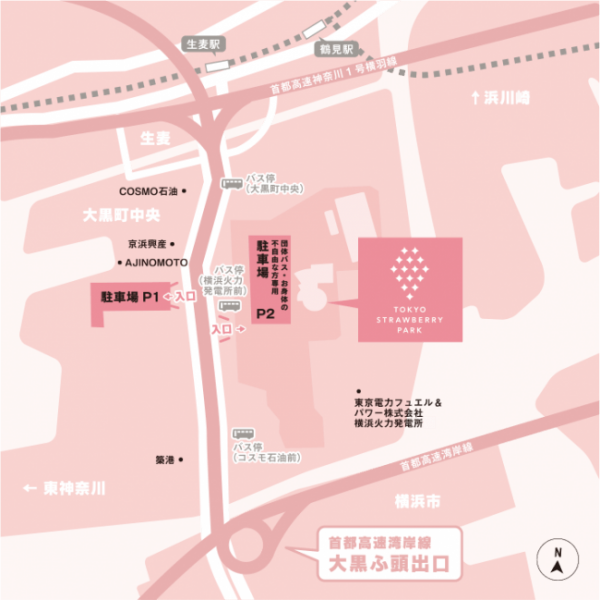 Shops and restaurants around Yokohama Red Brick Warehouse will also be participating in the festival by putting together and providing to customers limited-time menus and items. ※1. Sold during irregular intervals. 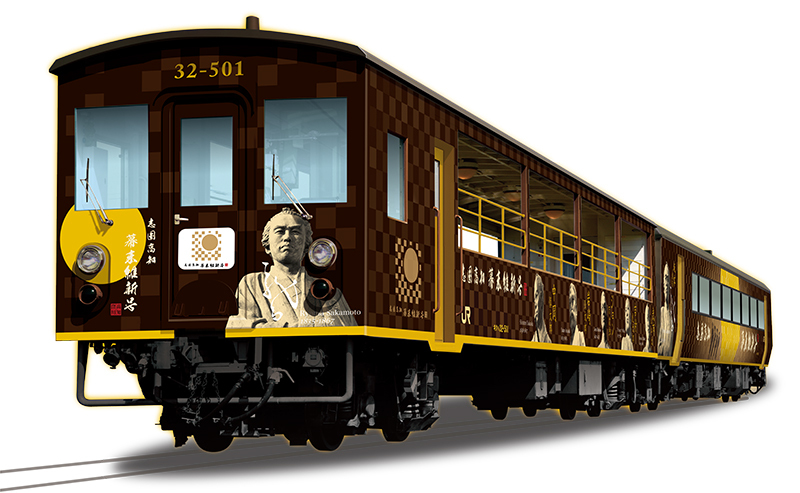 ※2. 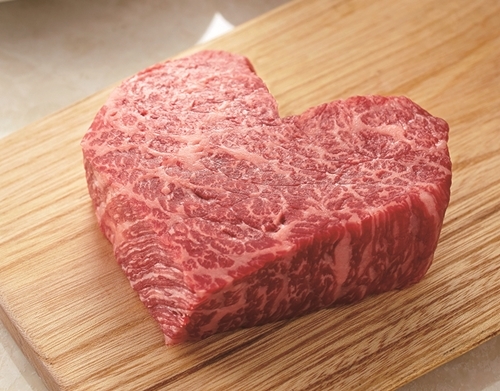 Limited quantity, while supplies last. ※3. 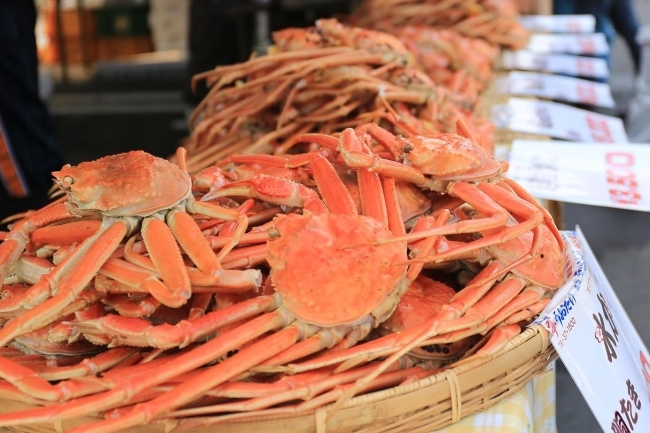 Depending on the weather and cultivation, there are cases where the market may not be held. 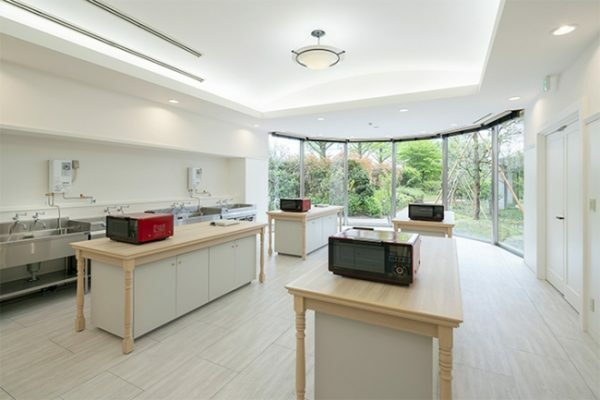 A strawberry house (first in Tokyo) where you can enjoy year-round strawberry picking! 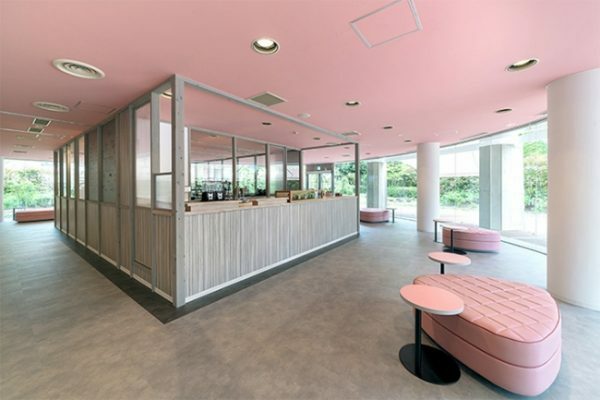 The inside of the house provides a rather pleasant and calming atmosphere of pink hues where visitors can enjoy picking strawberries (on a reservation basis available on the website). This facility also provides easy access for wheelchair users with its wide aisles and leveled concrete ground. A buffet where visitors can enjoy a full-blown Italian menu. Anything from sweets to pizza and pasta is available. （Please make reservations on the website）About 200 seats available. 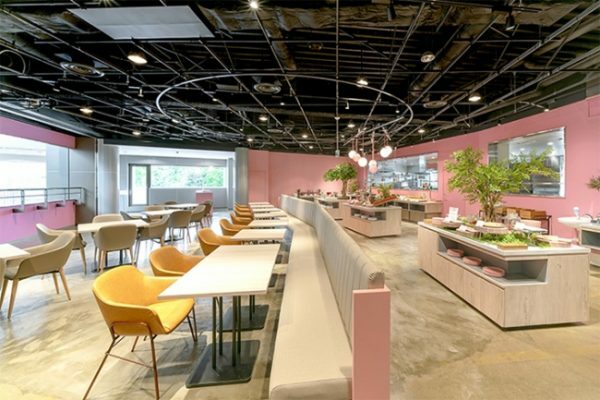 A facility you where visitors can observe the strawberry “researchers” making strawberry and chocolate sweets. Try out the sweets made here because they won’t be available anywhere else! Visitors can also buy sweets in this facility. 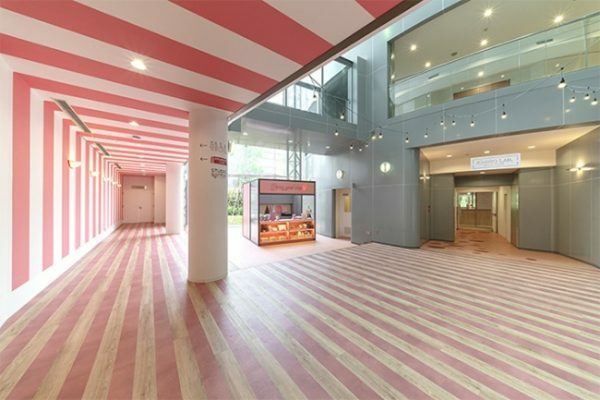 Visitors can find Tokyo Strawberry Park-only, original goods in this strawberry-themed pop-up shop.